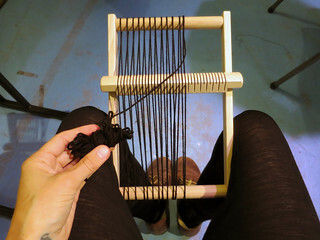 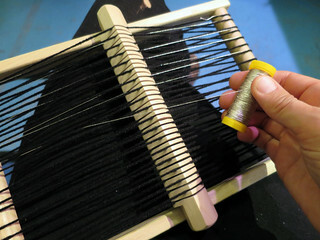 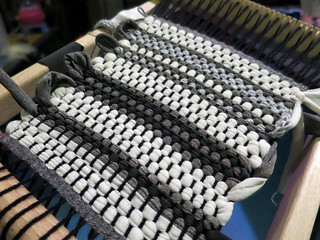 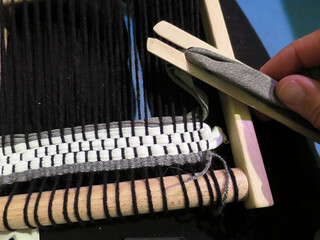 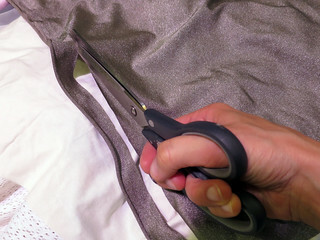 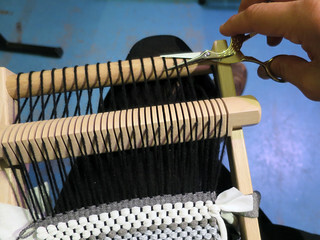 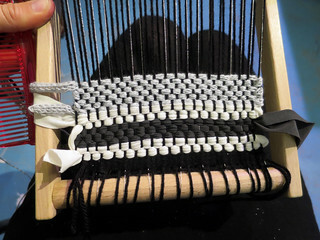 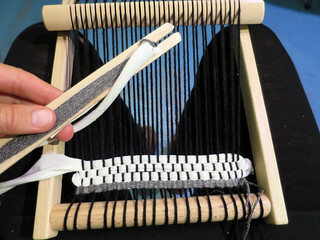 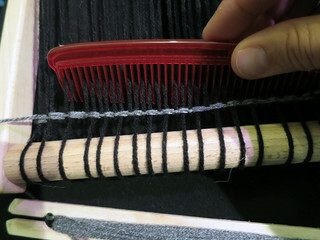 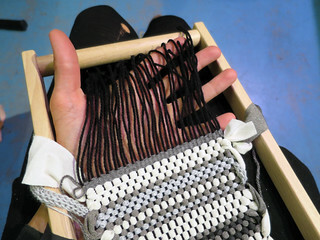 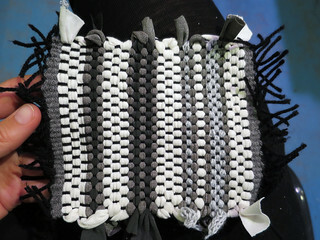 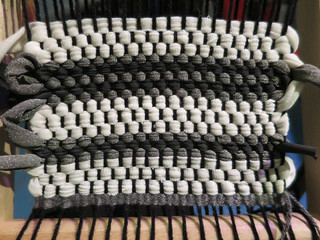 Using the technique of weaving strips of cut fabric in a plain weave to create colourful carpets, to make pressure sensors. 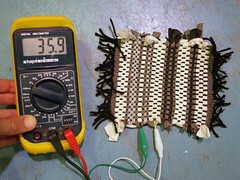 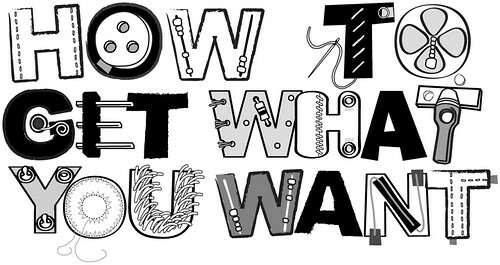 Instead of sandwitching the piezoresistive material with the conductors ontop and onbottom of the pressure application direction, this design sandwitches the piezoresistive material (stretchy Eeonyx, velostat or Stainless steel Nm10/3 yarn) with the conductors on either side. 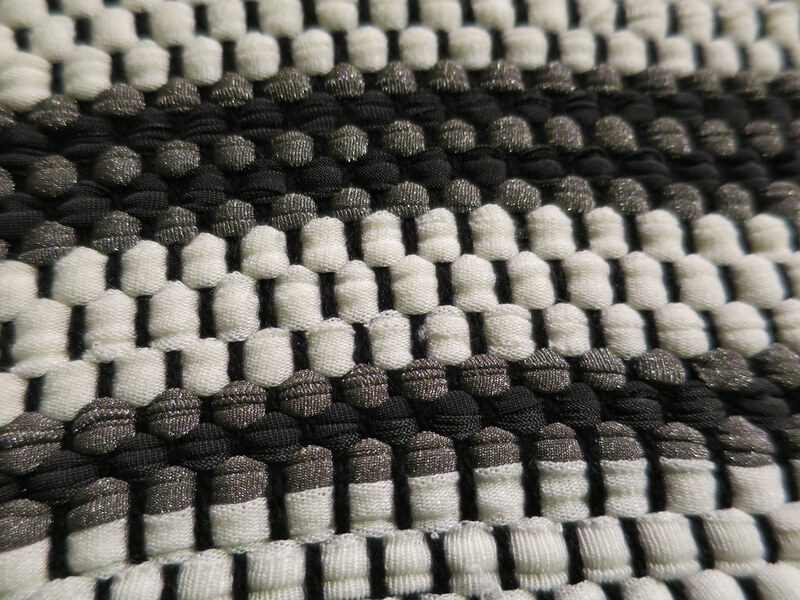 The pressure applied from above still has the same effect on the materials. 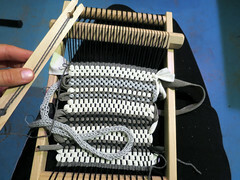 The range is not very big because the initial pressure the weaving structure is already quite high. 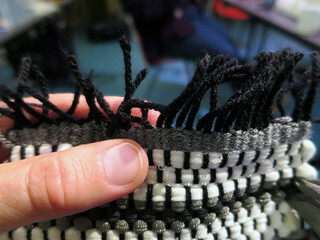 But still, it works quite consistently!